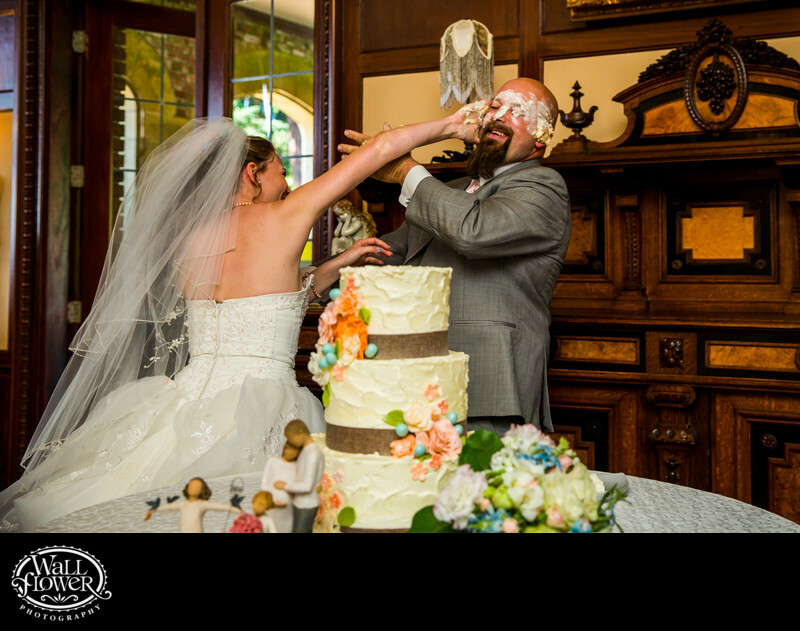 We secretly hope for cake smashing scenes like this one at every wedding we photograph, in part because they are so rare, and because they usually result in great images when they do occur. It keeps us on our toes, since we rarely get advance warning that some smashing is about to happen, and things move fast once they start! Here, the bride got her new husband from ear to ear — although he did get his revenge a few seconds later.